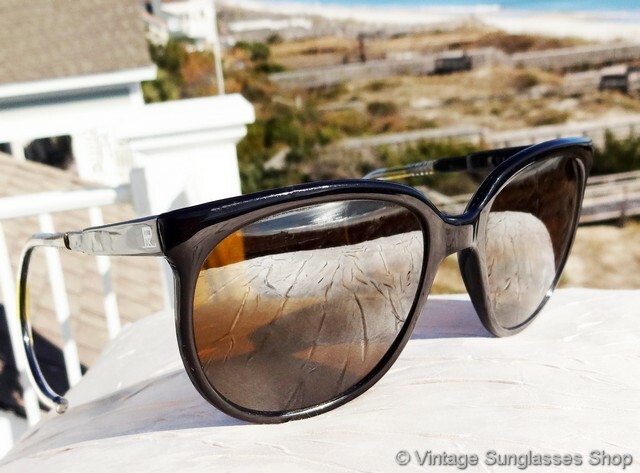 1 Vintage Vuarnet 002 Skilynx Outdoorsman sunglasses are an icon of modern sports eyewear, one of the finest ski sunglasses ever made yet equally at home for most any occasion. 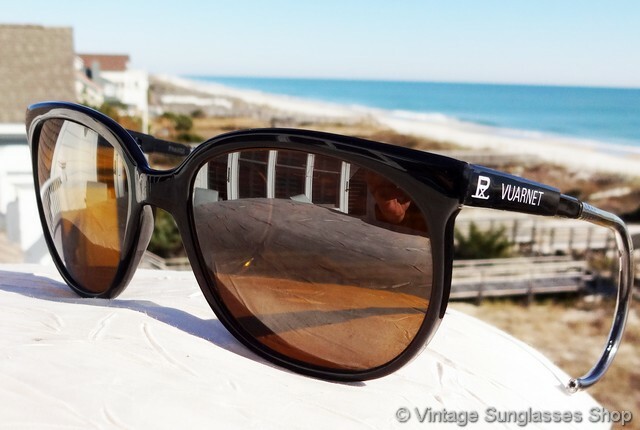 They feature flexible curved "shooter" ear stems that fit behind the ear to provide the most secure fit possible, and of course the Vuarnet PX-4000 Skilynx double gradient mirror lenses can't be beat when it comes to eye protection in extreme climates. 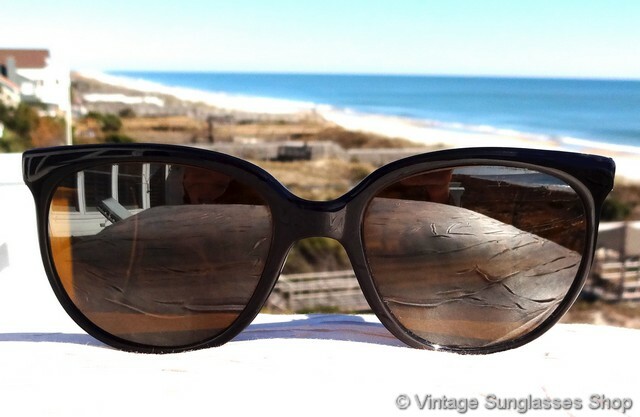 This is a very unique design wherein the 2 piece ear stems can be shortened or extended by slotting into grooves in the front frame - a smart yet subtle design. 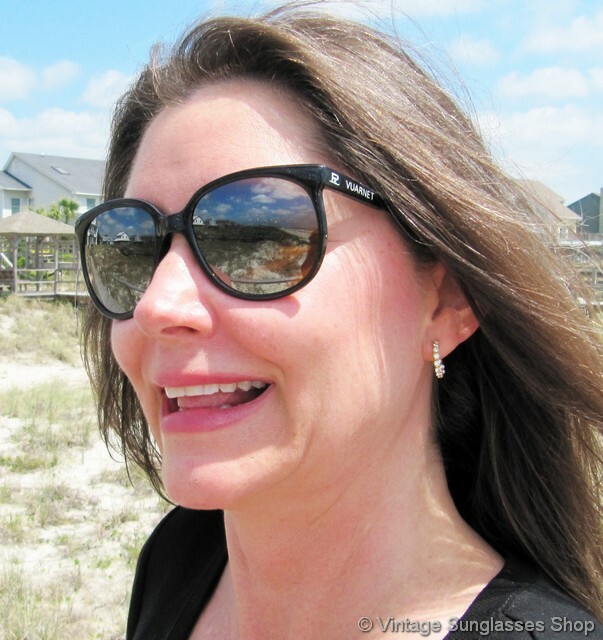 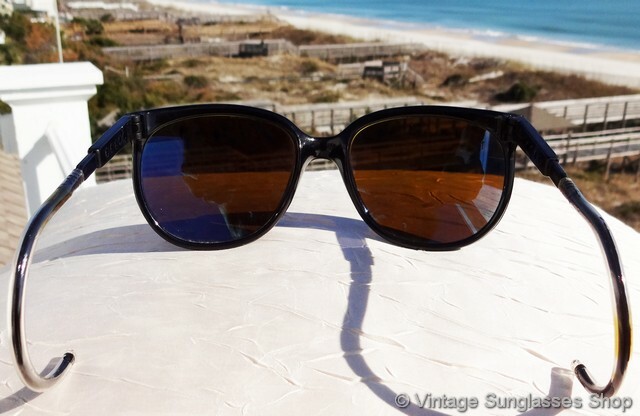 The durable black French nylon frame looks great with the highly reflective Skilynx mineral glass lenses, and the unisex Vuarnet 002 Outdoorsman frame measures approximately 5.375" temple to temple. 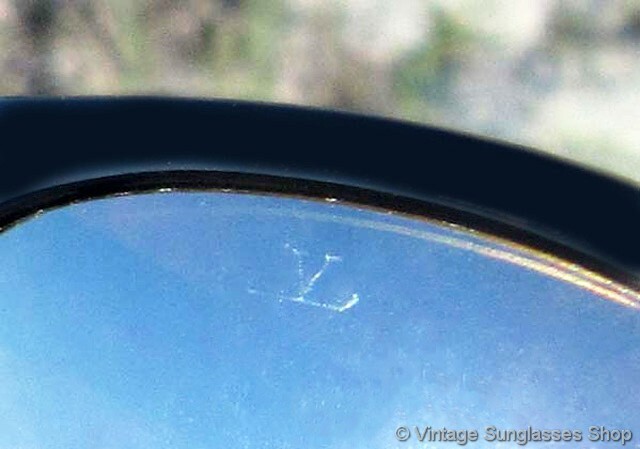 The PX 4000 Skilynx lenses measure approximately 2.125" x 1.875" at the widest points with both lenses laser etched with the trademark Vuarnet "V on a Ski". 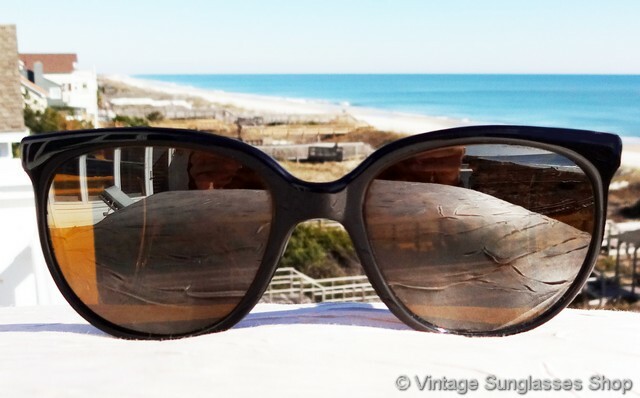 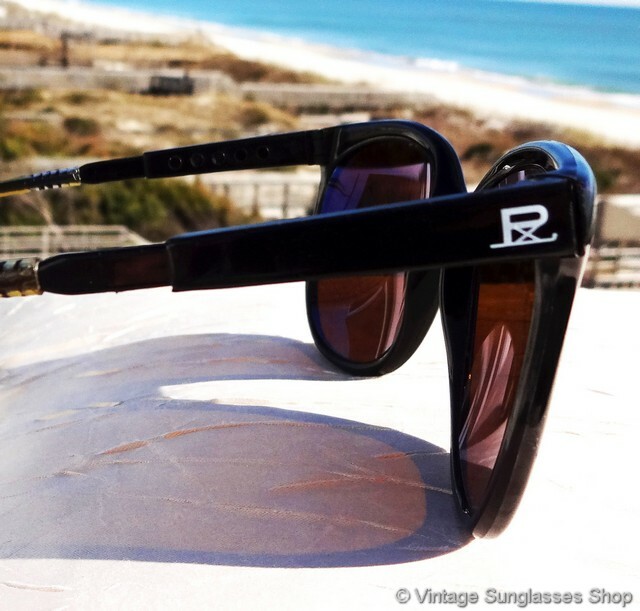 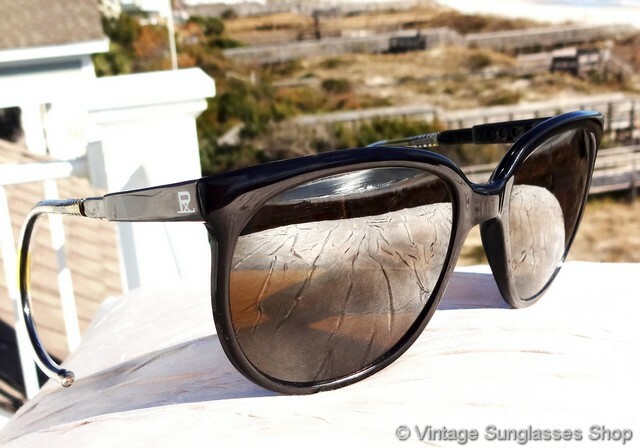 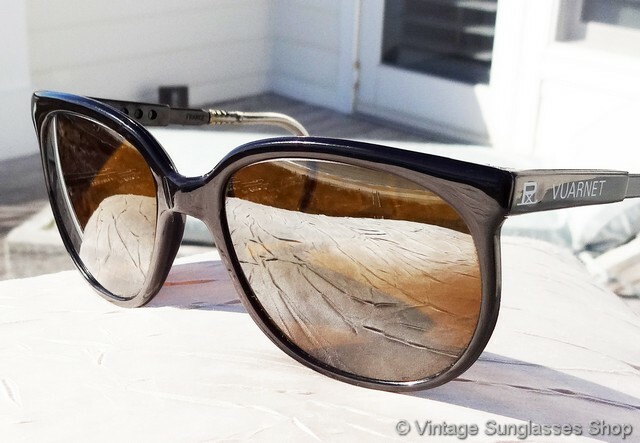 The exterior of one ear stem is marked PX Vuarnet and the exterior of the other stem maked PX, and the inside of one stem is impressed Frame France along with the Vuarnet crown mark, part of a Dallas, TX oil baron's estate who was a long time customer of the Vintage Sunglasses Shop. 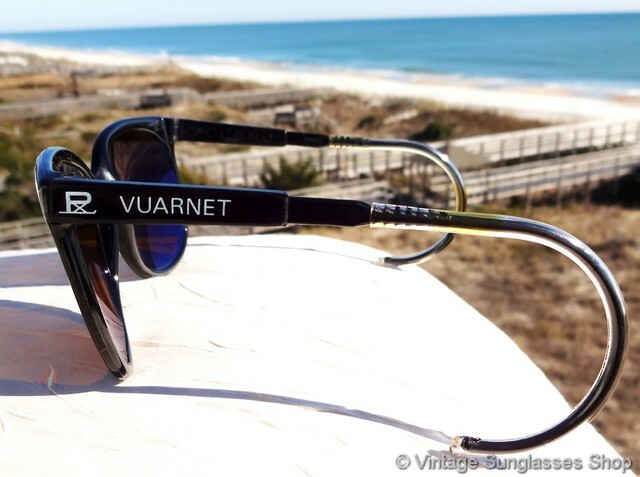 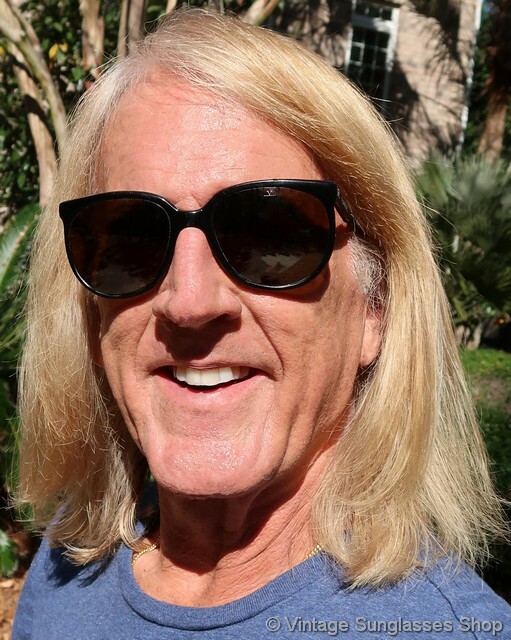 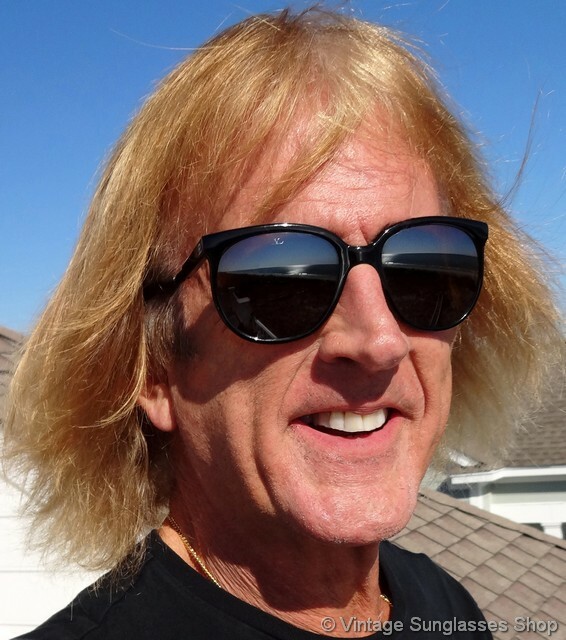 2 Vintage Vuarnet PX Skilynx Outdoorsman sunglasses are identical to #1 above but were issued c 1984 commemorating Vuarnet's sponsorship of the 1984 Summer Olympic Games in Los Angeles, the Games of the XXIII Olympiad. 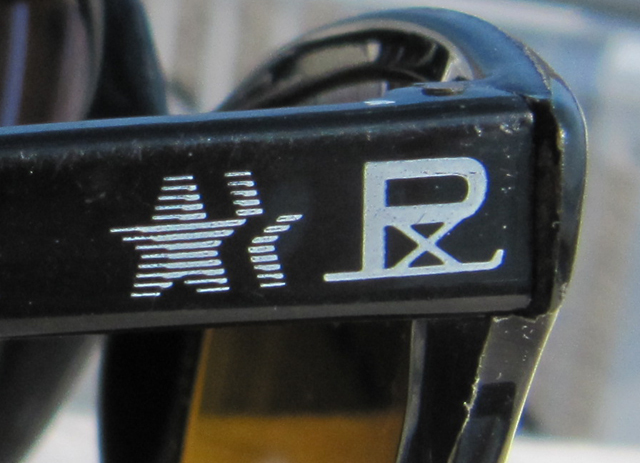 As such, the exterior of one ear stem is marked with both PX and the 1984 Los Angeles summer olympics star logo; all other marks are identical.